April comes to a close. May enters in very soon. The month of May reminds me how God has been good to me by giving us Psalm Eloisa. It’s also the time that a year adds up to her age, reminding me that my baby girl is growing up quiet too fast. She is turning 4 in May 14. Usually before May, my husband and I put our heads together for her birthday celebration. It’s timely that we are on a summit for Lifebox, the organization my husband works for, and we’re staying in Hotel H2O and can visit the Manila’s Ocean Park. My curious and smart 4-year old looks forward to that. 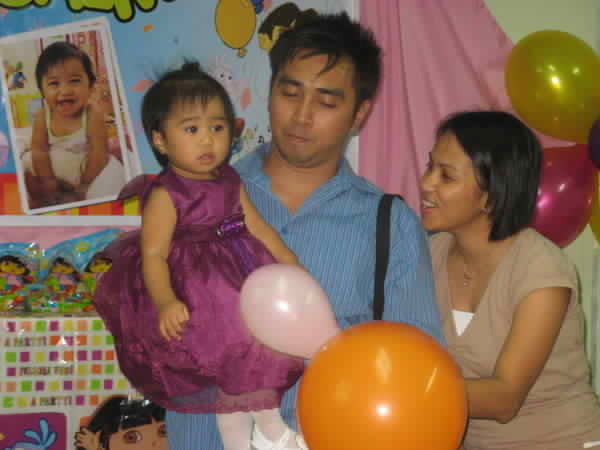 In the course of pondering, I came across this memorable birthday party I’ve put together: her very first birthday party! Psalm seem to have inherited from me a decisive and determined persona. 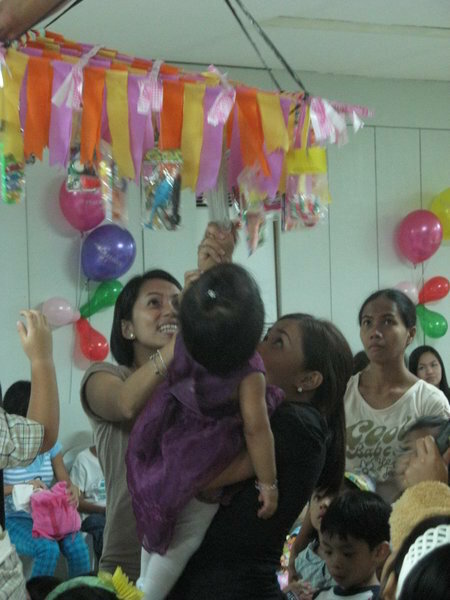 Any mom would be frenzied months before her only daughter’s first birthday preparations. 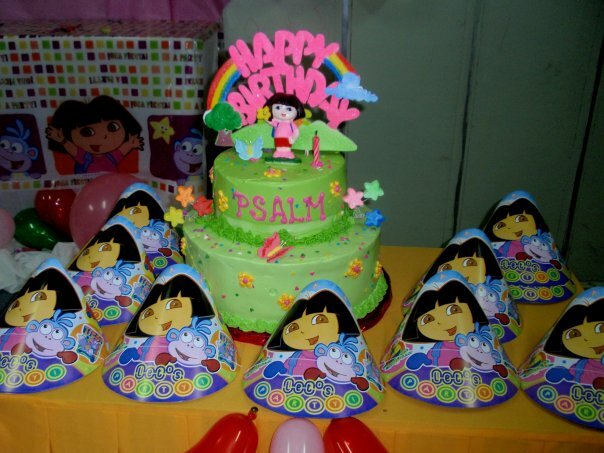 Psalm put all this planning in one direction for being solid about being fond of Dora the Explorer. When we go to kids department in malls, she gravitated toward Dora merchandise- from t-shirts, to bags and even a tent! She hardly could speak straight at that time, but when she sees the wide-eyed Latina kid with pink backpack, she exclaims “Do-ya!” Dora she wants, Dora she gets! I like the look of delight when kids receive goodies. Here I chose give-aways, faithful to the theme. 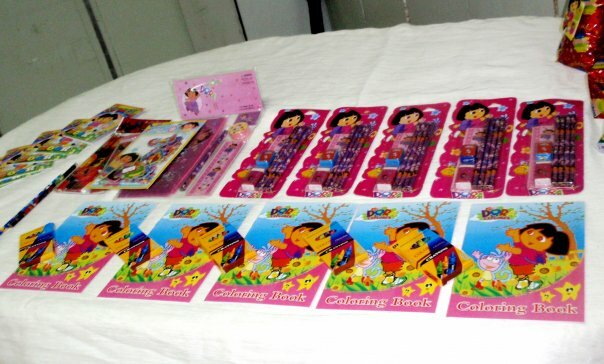 The crayons, coloring books, pencils, stickers of Dora are useful in learning. Dora loves to learn that’s why she goes to different places. Kids loves balloons and I like decorating with them. 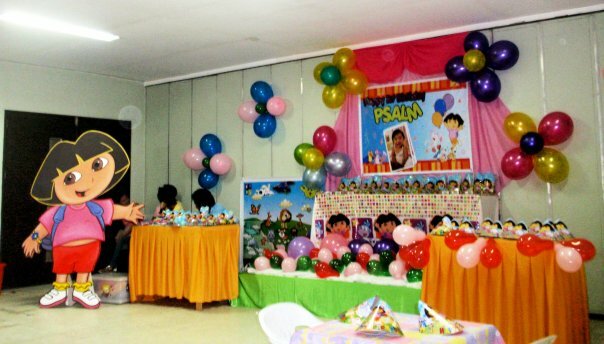 Following the color patterns of Dora’s look became my guide for choosing balloon and cloth colors. 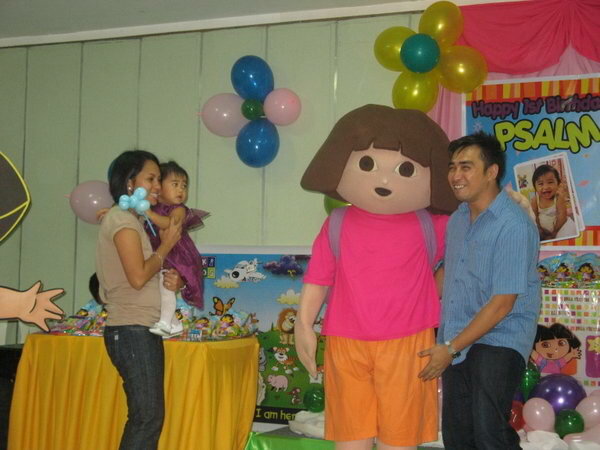 Here is also the life size Dora standee, which was welcoming everyone to the party. 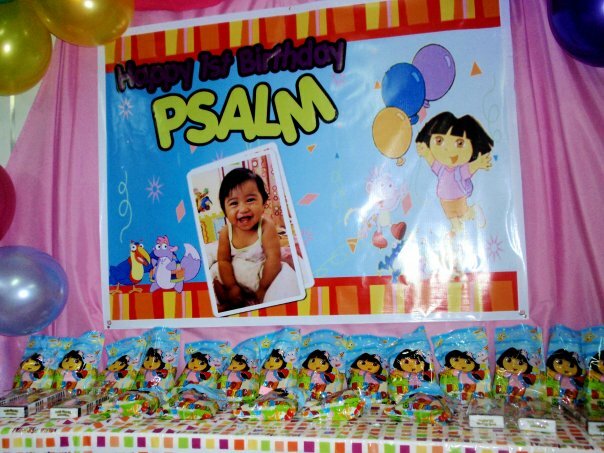 Psalm photo on the center poster did her share to welcome those who came to celebrate this momentous day of hers, and us, her parents of course! Below the poster are the goodies in their loot bags. The mom-me wants her daughter to look like a princess. Here she is in her purple gown with daddy carrying her. The emcee dressed as Boots the Monkey, Dora’s best friend. Here she was hosting the game which the dad’s participated. 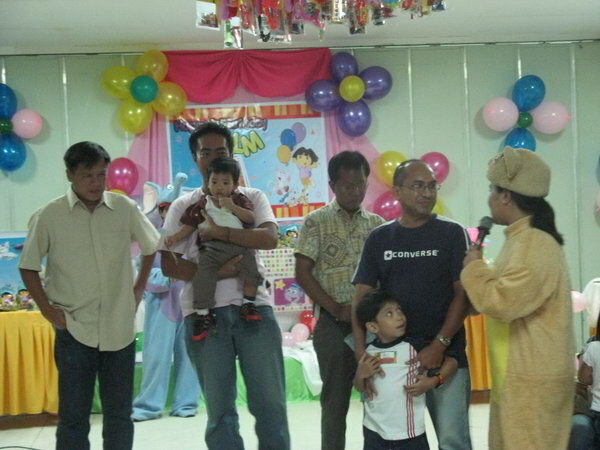 Everyone was elated to “meet and greet” Dora the Explorer. Mascots and costumes are very ideal for themed parties. They play big part in completing the look of the theme. “Pabitin”… it gives kids a challenge of grabbing their prizes and the jumping they perform releases their high levels of energy. Pabitin is festive native game. Dora The Explorer is about exploring places, cultures and new things, hence this game still goes with the theme.